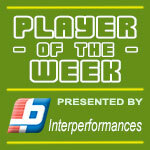 ) had an amazing evening in the last round for top-ranked San Pedro T., receiving a Interperformances Player of the Week award for round 11. The player had a double-double of 24 points and 10 rebounds, while his team crushed Dream Ballers (#2, 7-2) with 20-point margin 81-61. The game was between two of the league's top four teams. It allowed San Pedro T. to consolidate first place in the Belizean NEBL. San Pedro T. have a solid 9-2 record. has many years of experience at San Pedro T., through which he has constantly improved. has solid league stats. He is league's best scorer averaging so far 18.3ppg, leads league in rebounds with 8.0rpg and is league's best passer with 1.0apg is in league's top in and averages impressive 53.6% FGP. The second best player in last round's games was 27-year old American James Ewing (198-C-90) of Orange Walk RR. Ewing had a very good evening with a double-double of 25 points and 10 rebounds. It was enough for Orange Walk RR to edge slightly higher-ranked Belmopan B. (#6, 2-8) 79-76. Despite this victory they still are the league outsider. 9 lost games are too many comparing to just one victory Orange Walk RR managed to get this year. Ewing is a newcomer at Orange Walk RR, but is already one of team's top players. He belongs to the best scorers in the league with 16.8ppg (#6). He also registered 7.1 boards per game. 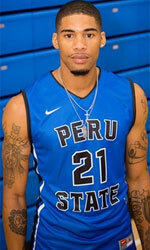 Third on the list of top players last round was American forward Luther Page (198-F) of Belmopan B. (#6). Page scored 22 points and grabbed five rebounds. 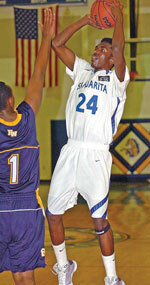 Despite Page's great performance Belmopan B. lost 76-79 to slightly lower-ranked Orange Walk RR (#7, 1-9). But his team cannot count on just a single player as he also needs help of the other teammates. Belmopan B. can only dream about fighting for top spots in the league. They have rather bad season and 2-8 record places them close to the bottom of the standings. Too bad for Page he does not play for a better team. But maybe if he did, his season stats would not be that high. Page has individually a great season in Belize. After only 9 games, he made it on the list of the league's leaders in points with 19.6ppg (2nd best) and rebounds with 8.9rpg (5th best). He also has 2.4spg and FGP: 50.5%.